Dark Horse will be offering several exclusive items at this year’s New York Comic Con, including an exclusive variant cover of “The Star Wars” #1. 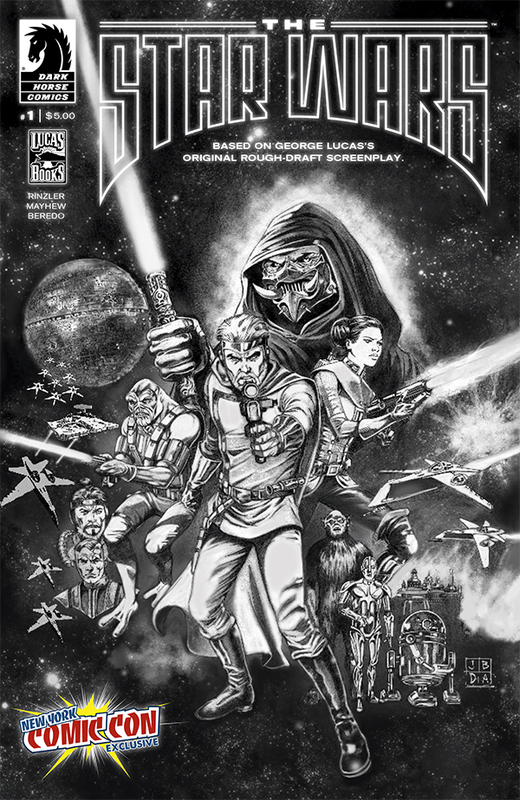 Limited to 1,000 pieces, the black and white cover edition will be $5.00 at the Dark Horse booth, #1636. NYCC: DARK HORSE ANNOUNCES NEW YORK COMIC CON EXCLUSIVES! OCTOBER 2, MILWAUKIE, OR—New York Comic Con, the largest pop culture event on the Eastern Seaboard, is right around the corner, and Dark Horse is bringing you the latest and greatest in exclusive comics and Dark Horse Deluxe products! Elfquest is a winner of the Golden Pen Award from the Young Adult Advisory Committee. 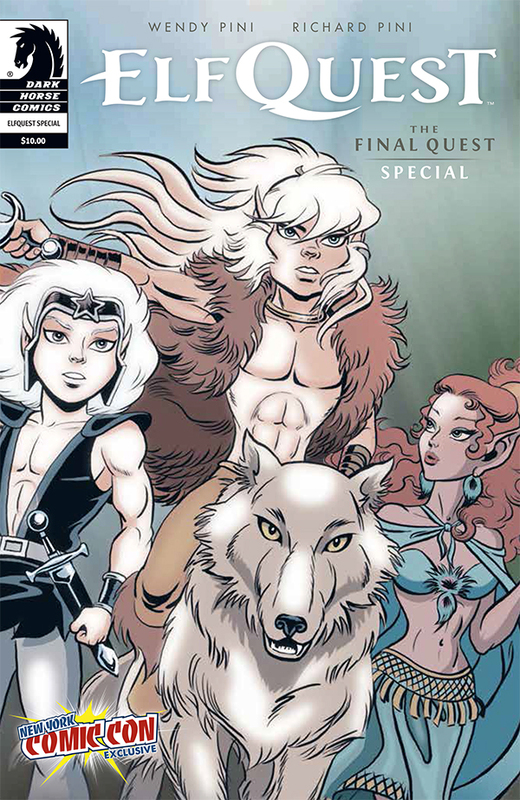 This special, an oversized prologue to the Elfquest: The Final Quest series, marks thirty years of Elfquest action and adventure! A 2.5-inch Qee version of Domo unavailable anywhere else, packaged in a color box. Make sure to stop by booth #1636 to check out all this awesome stuff, only available at New York Comic Con 2013!